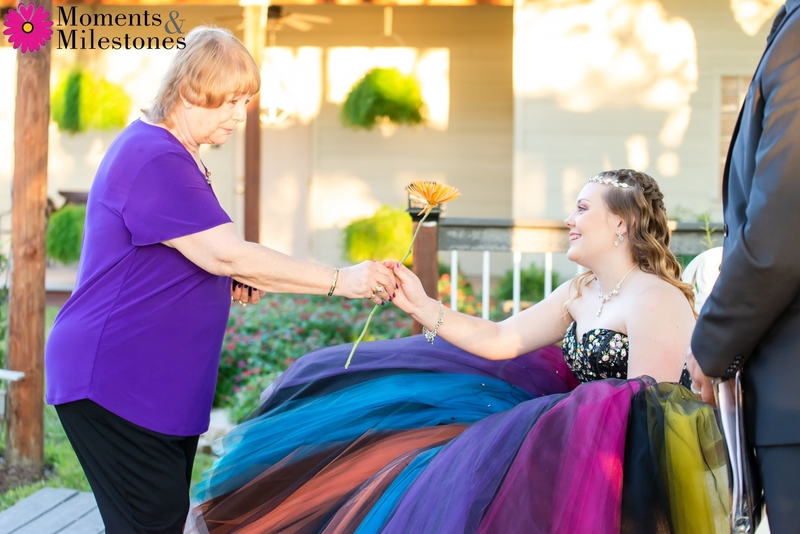 Mom & Grandma were ON TOP of planning this event. 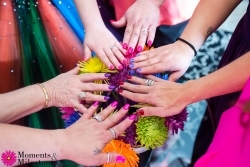 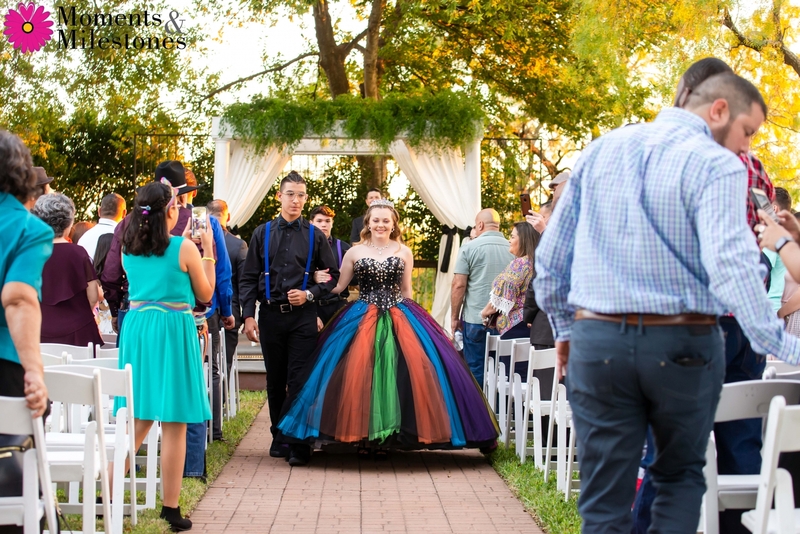 We met at a Granberry Hills open house a year before the event, they booked a consultation and booked the event on the spot. 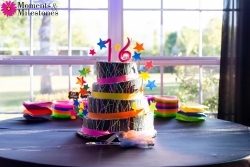 And they did it right! 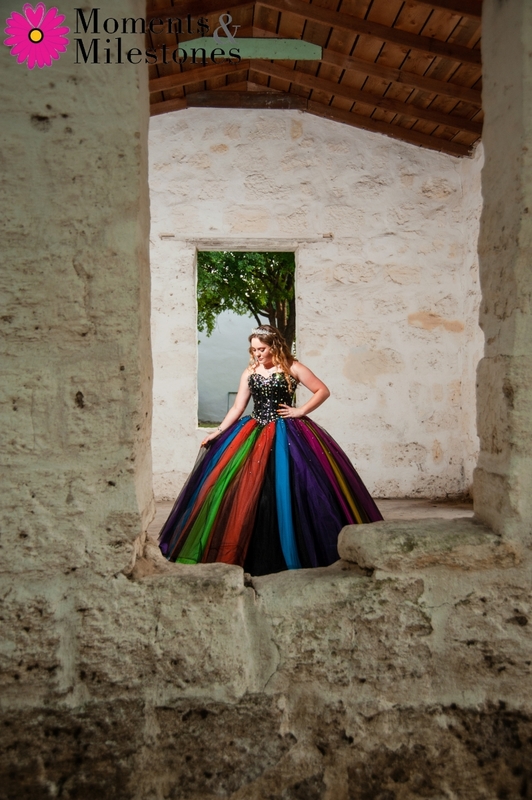 We got to plan a dress/portrait session with them…which Samira decided to split into two part. 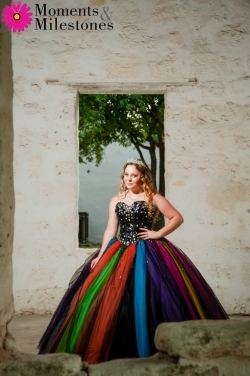 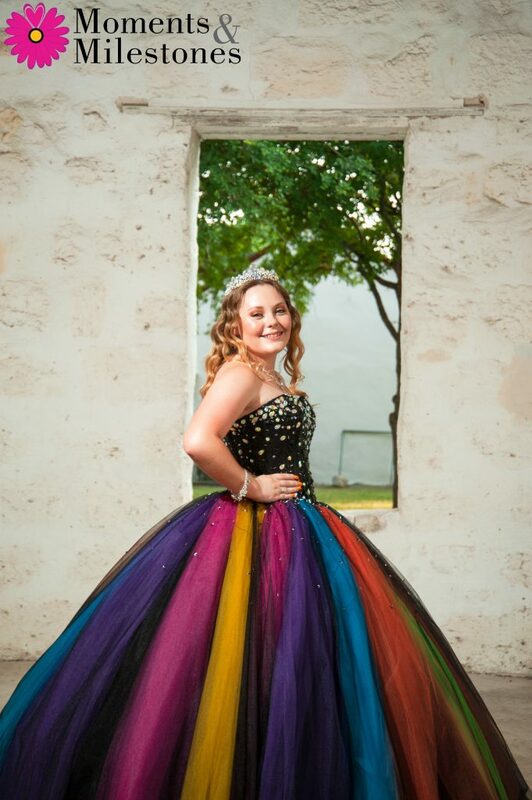 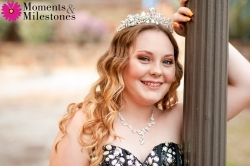 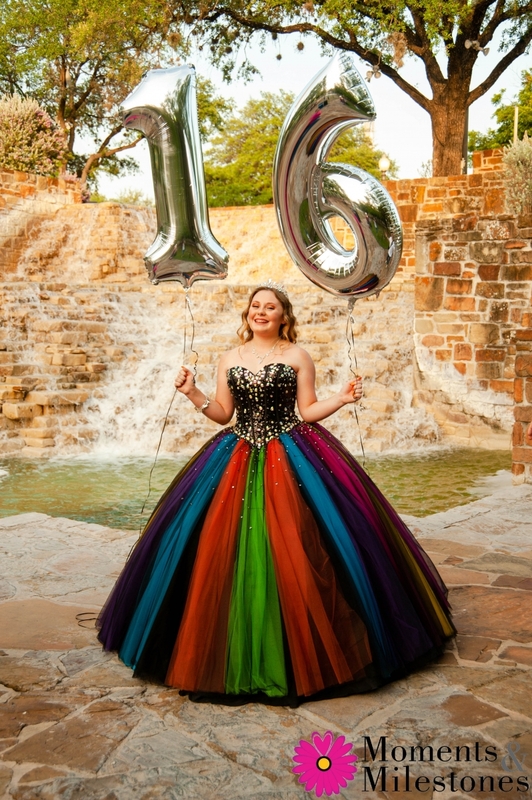 1/2 was for her Sweet 16 Dress Portrait, and the second half was a fun, casual session with her and her friends. 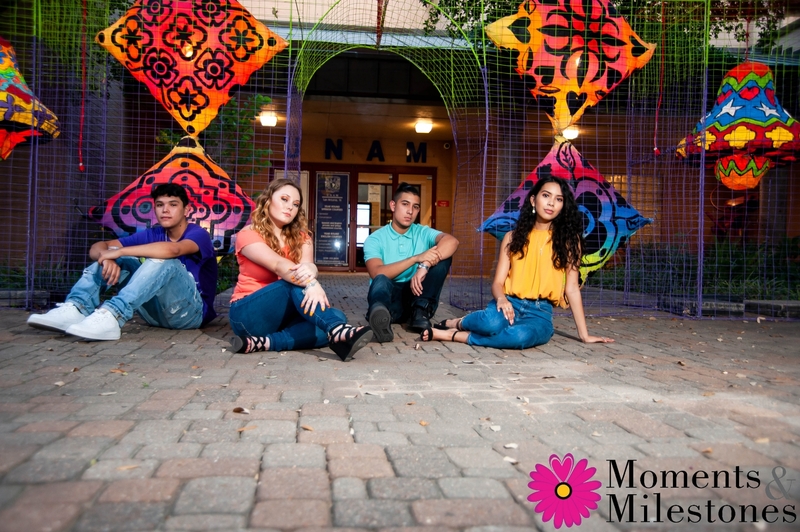 Here are a few of our favs from the session ~ what do you think? She’s fun, right?!?! 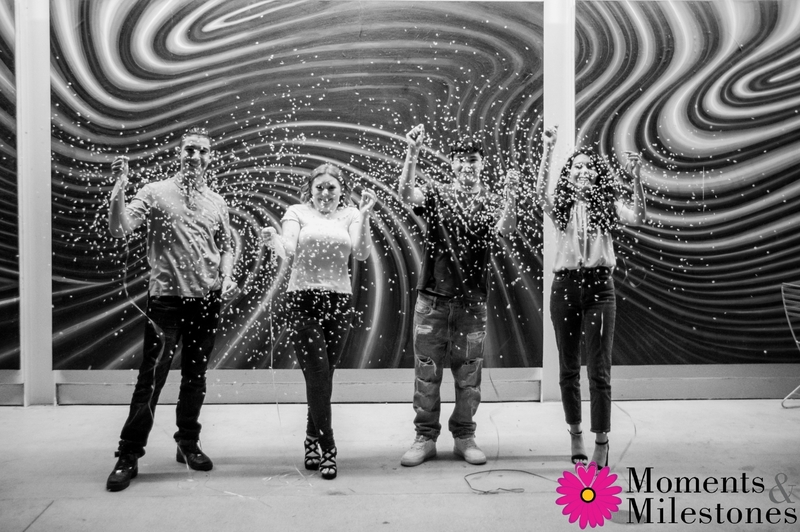 And SUPER creative – we had a blast. 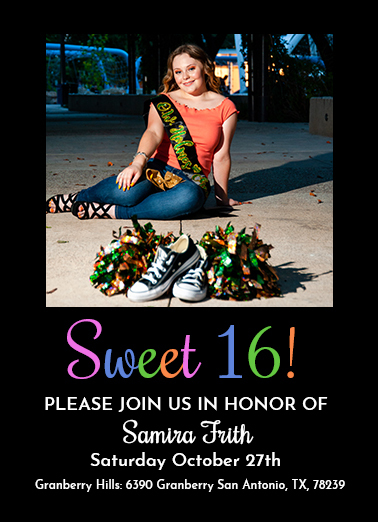 We even had the unique opportunity to design & print her Sweet 16 invitations using pics from the session ~ I thought they turned out great…what do YOU think?? And the day of the party was stunning! 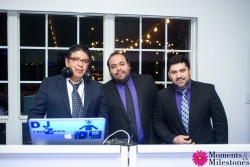 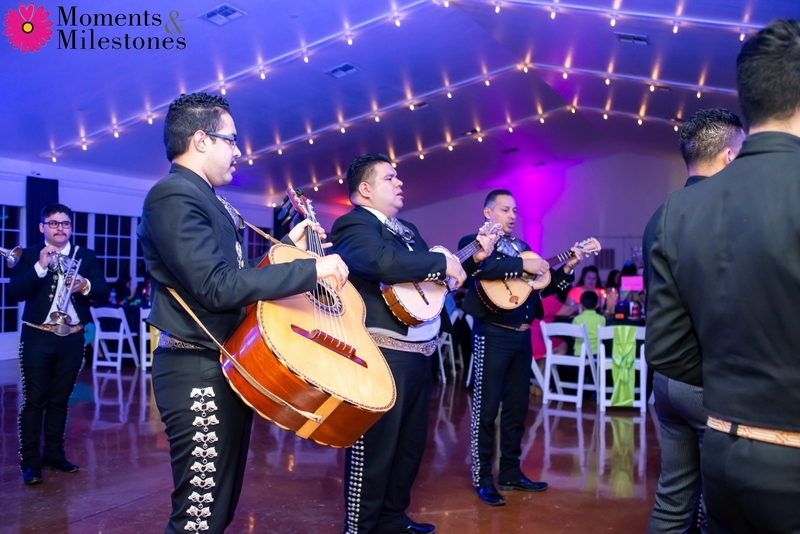 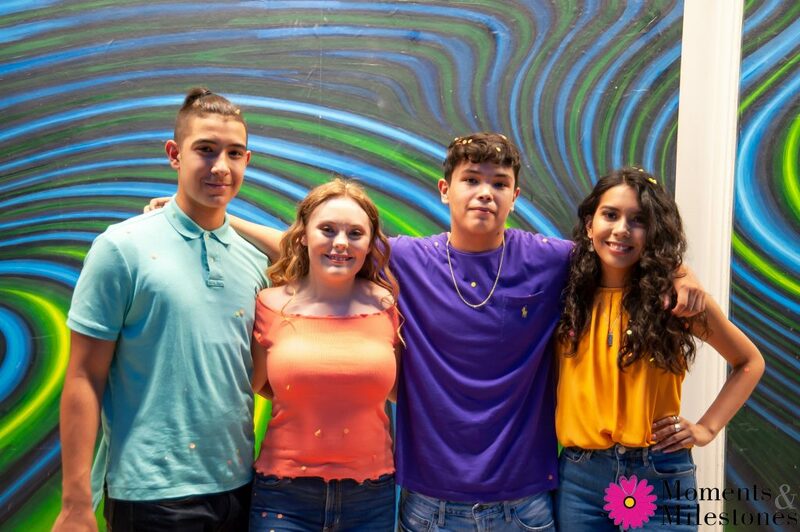 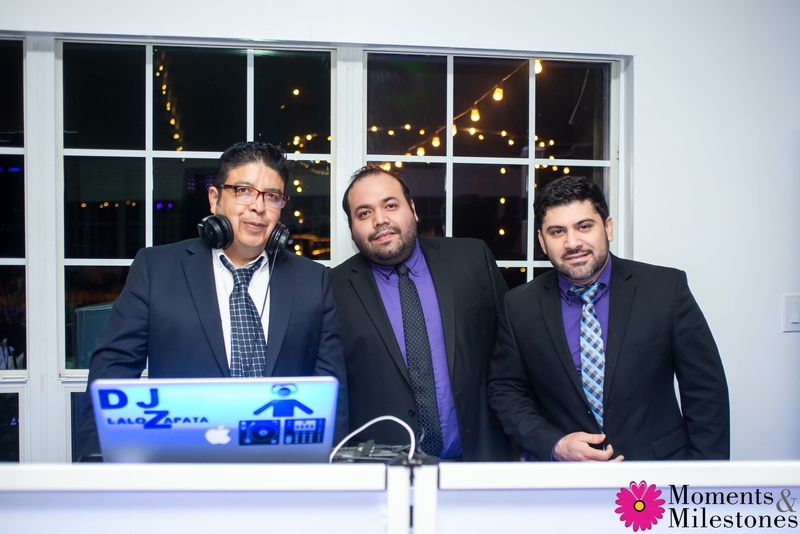 The Granberry Hills team brought their A-Game, Heavenly Gourmet catered, and Four 40 Entertainment provided DJ services and LED Robots on the dance floor! It was AMAZING!! 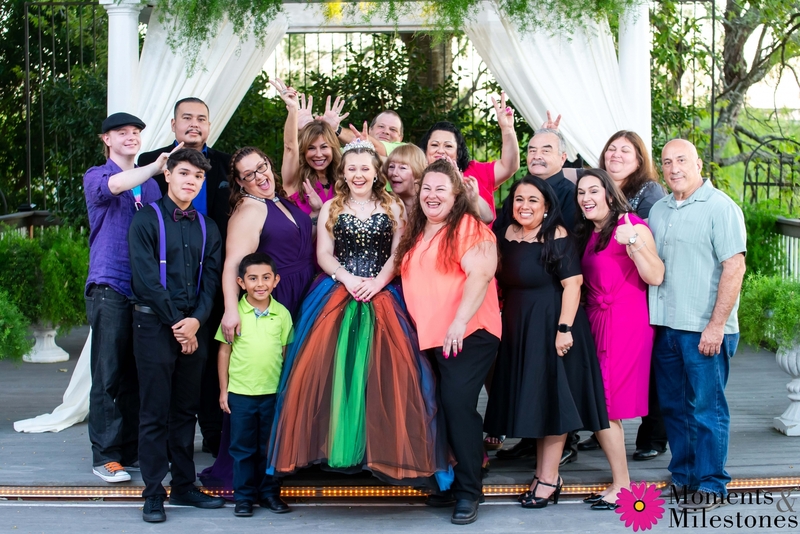 We were honored to be a part of the celebrations, and even happier to be connected to this sweet family! 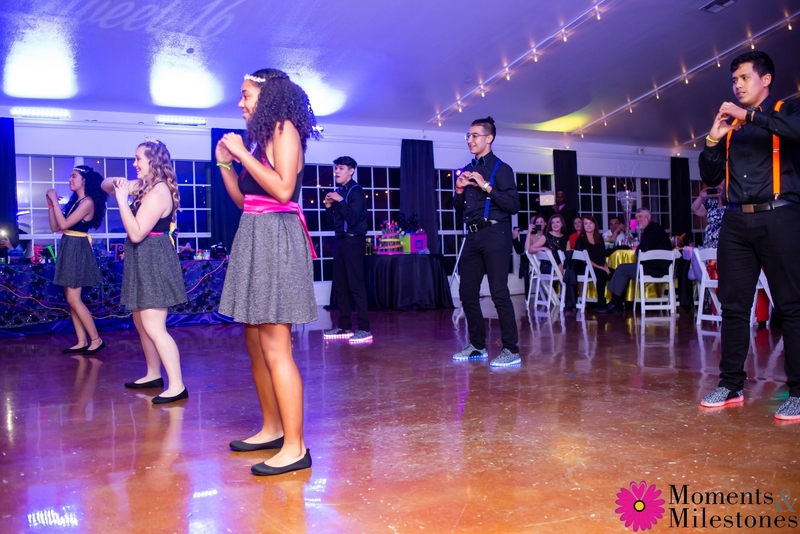 Here are just a few of the highlights from the party! 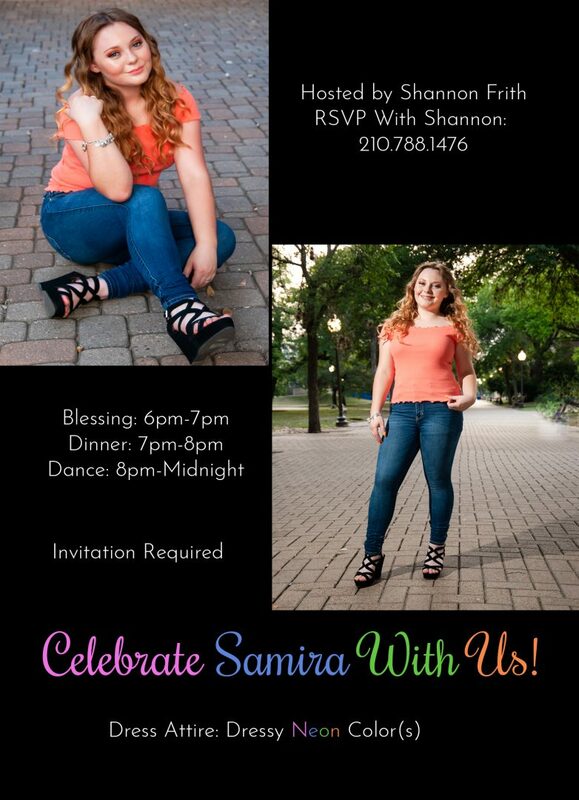 Happy Birthday Miss Samira. 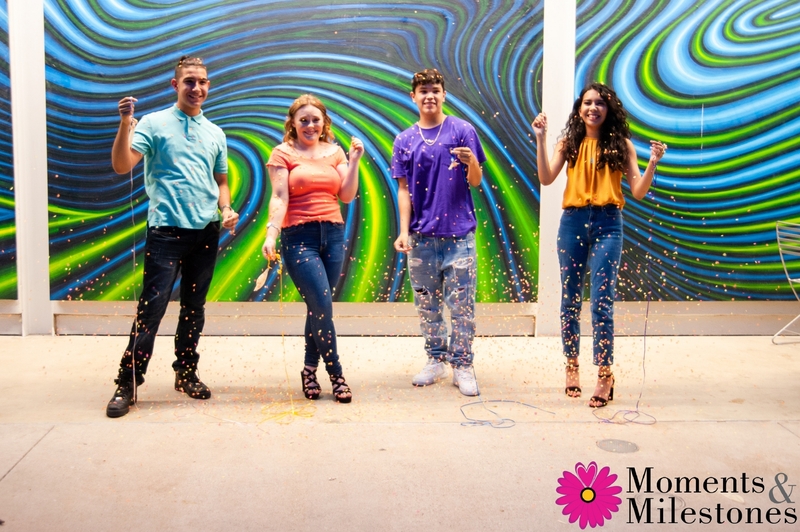 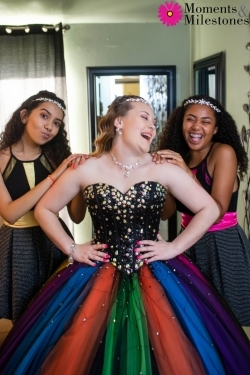 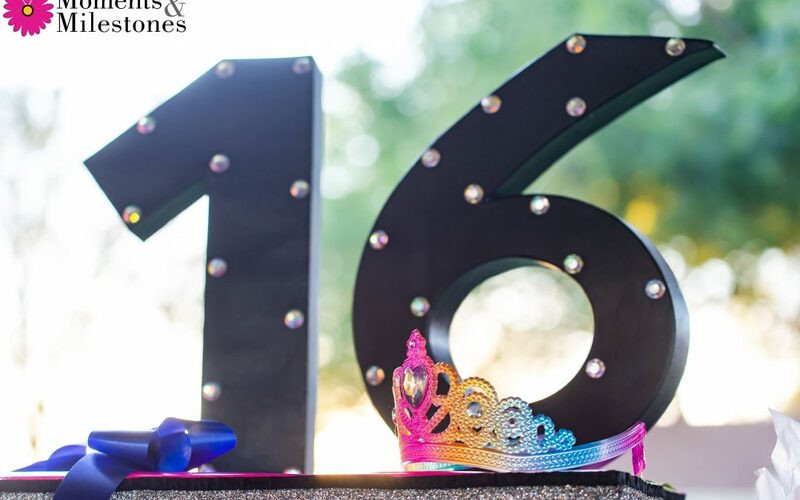 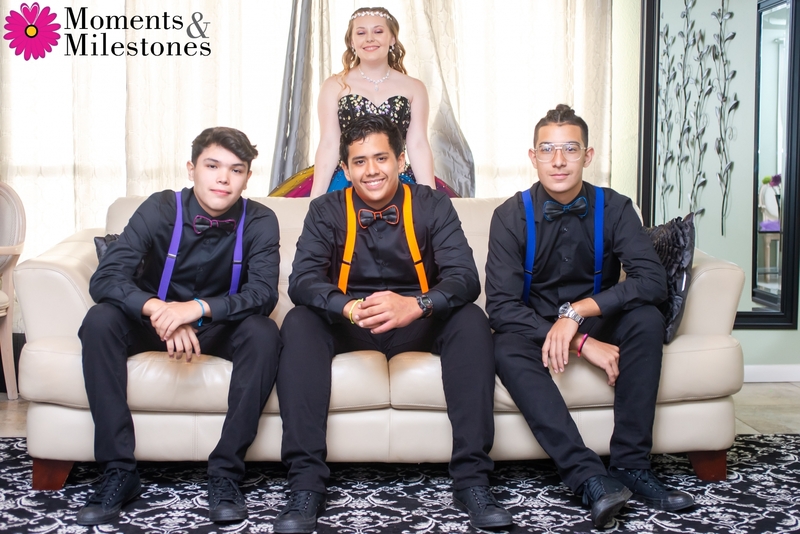 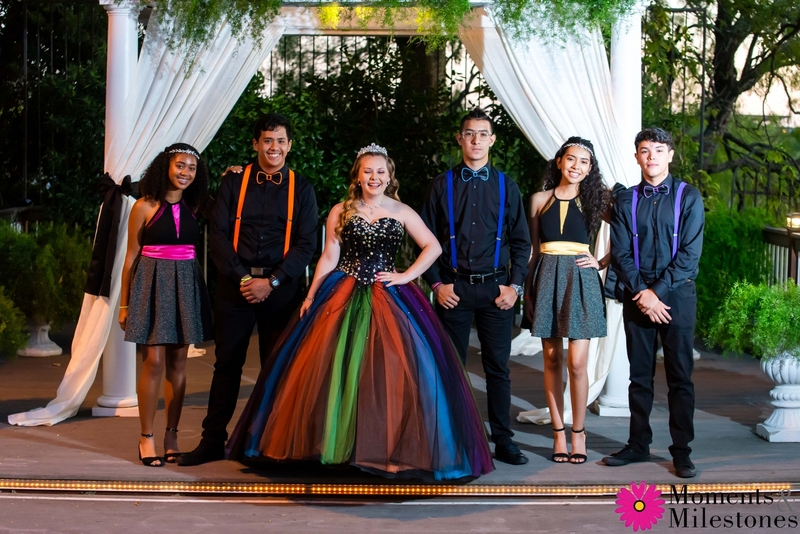 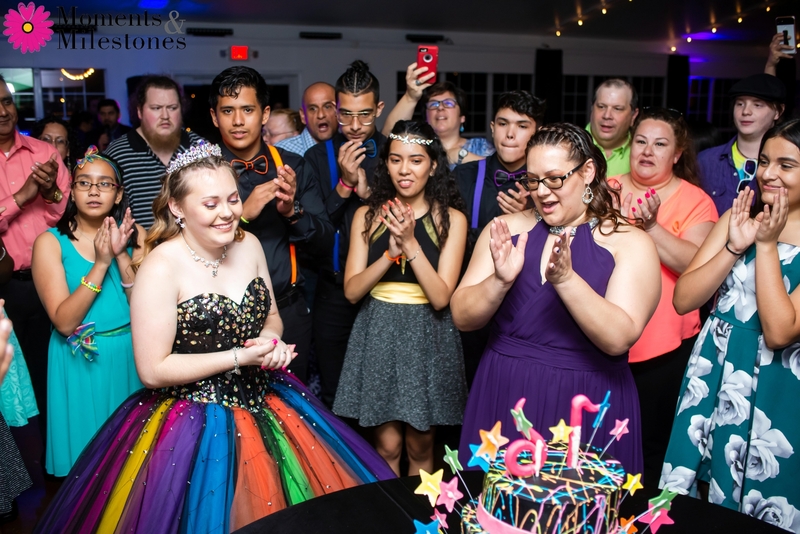 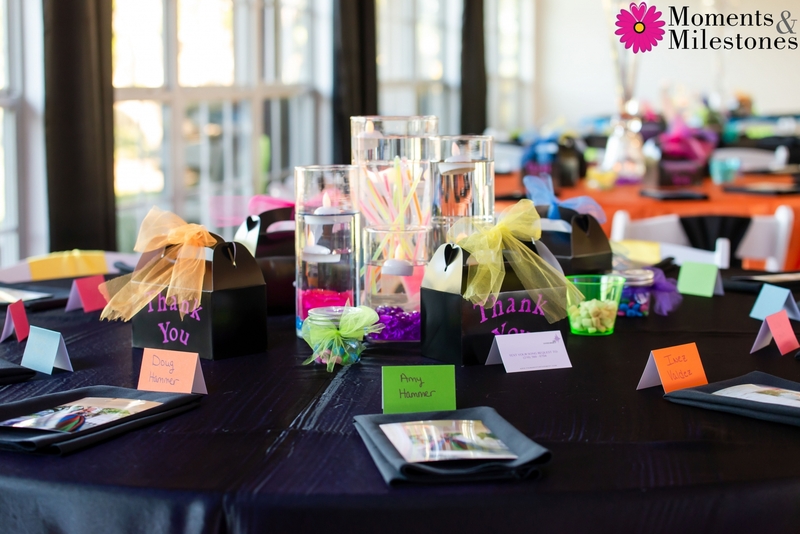 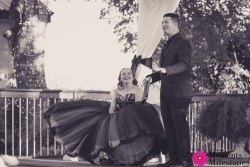 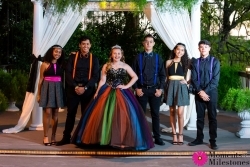 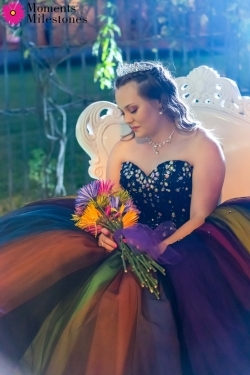 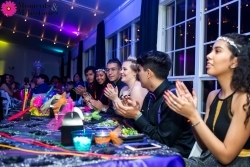 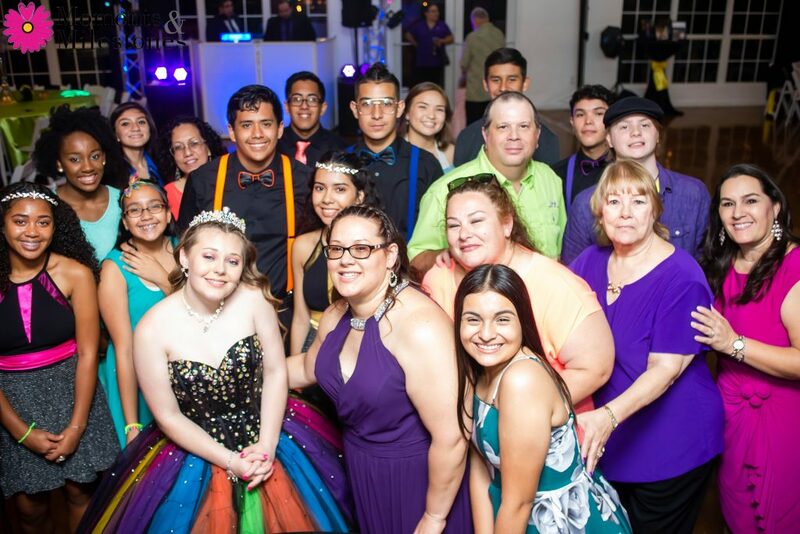 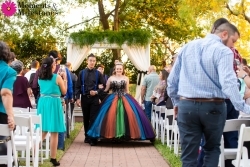 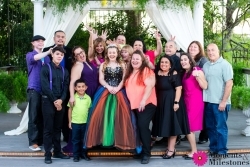 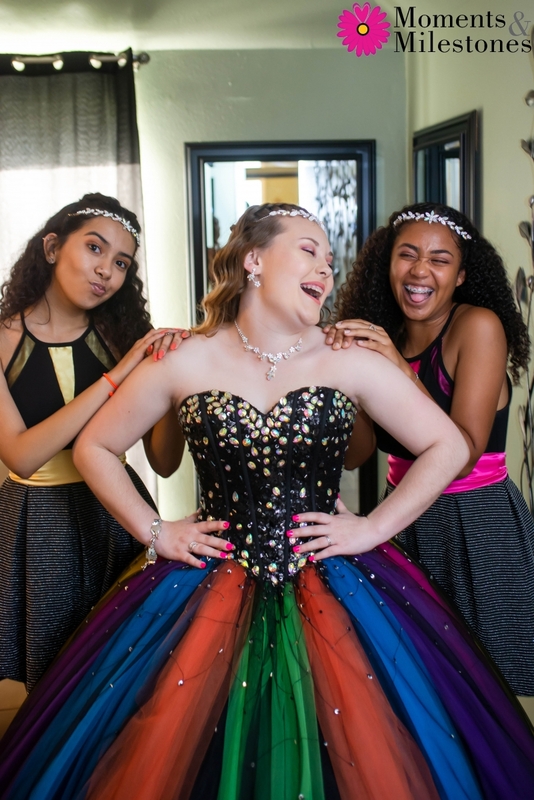 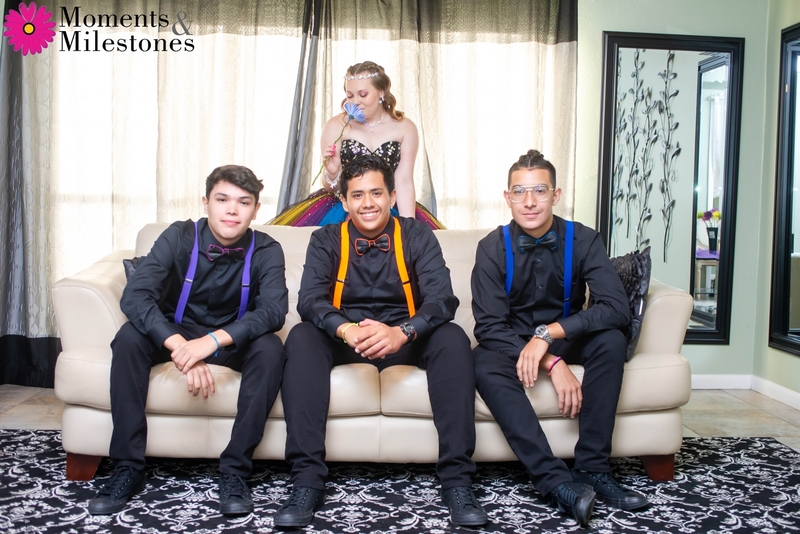 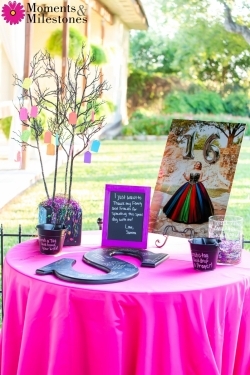 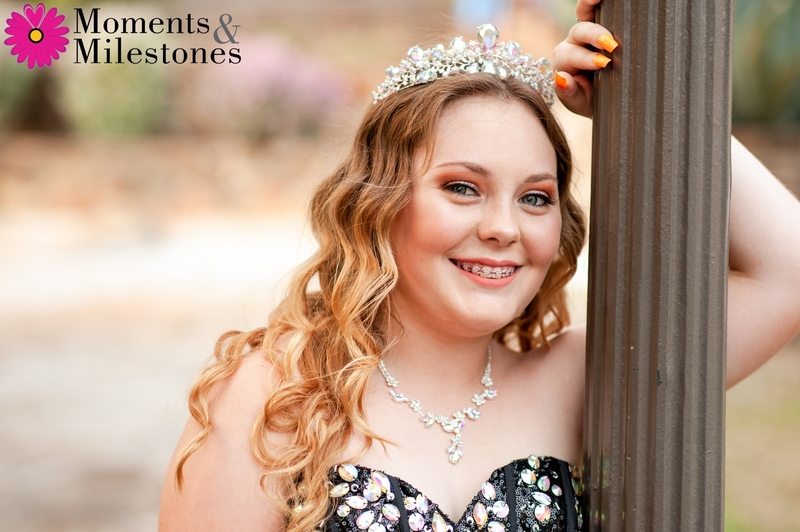 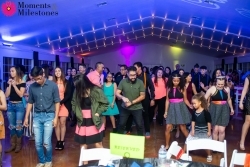 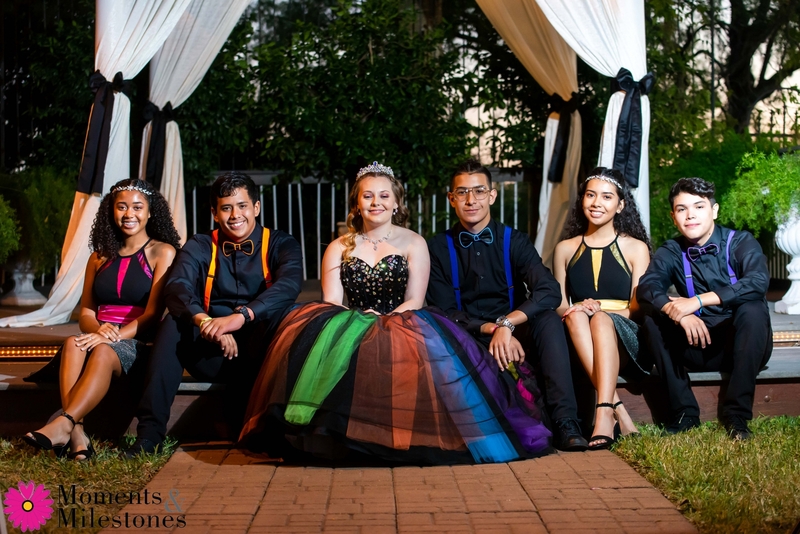 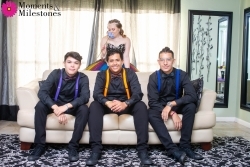 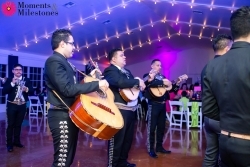 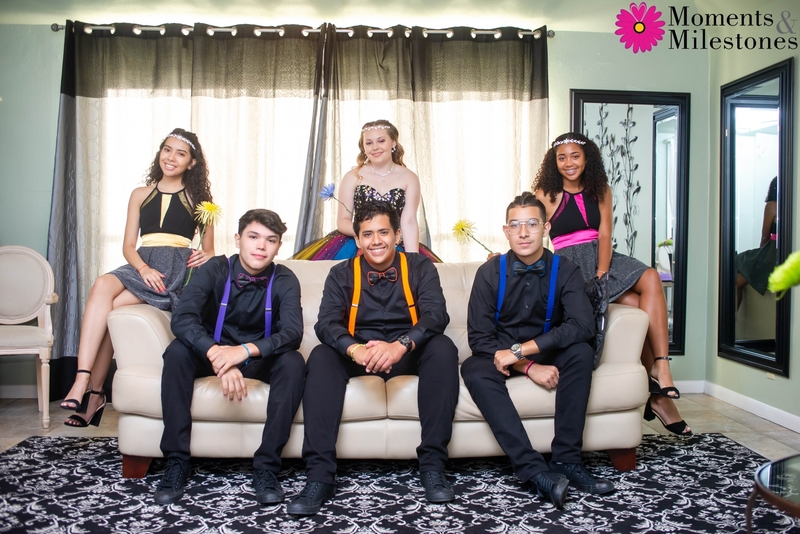 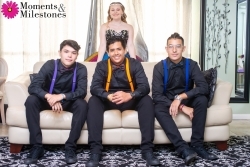 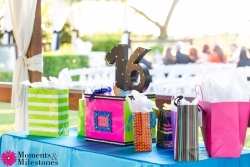 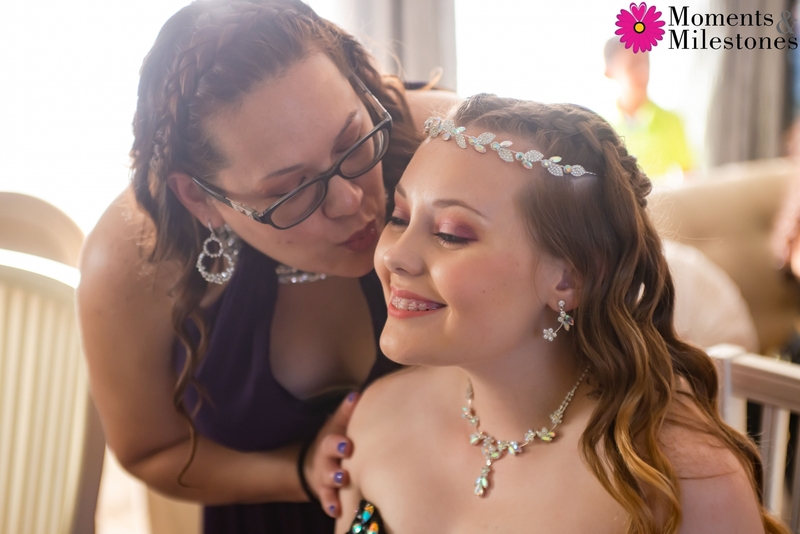 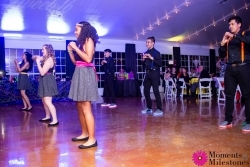 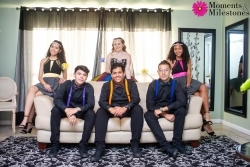 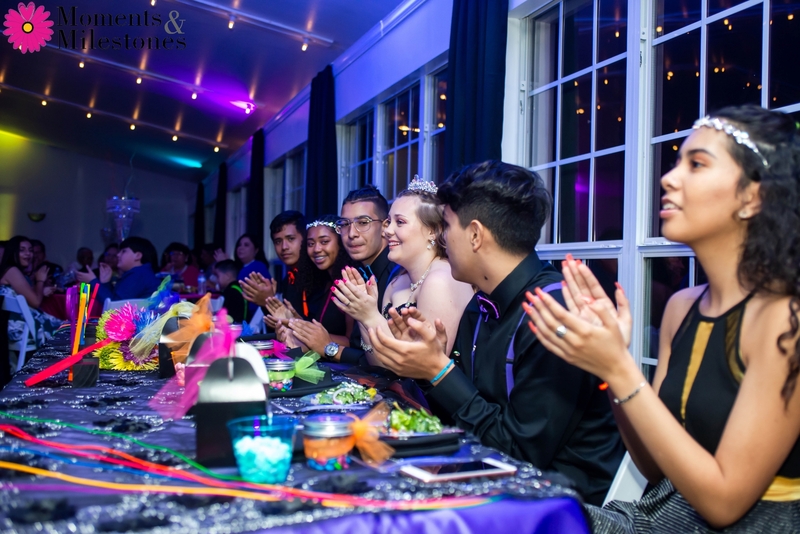 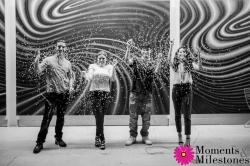 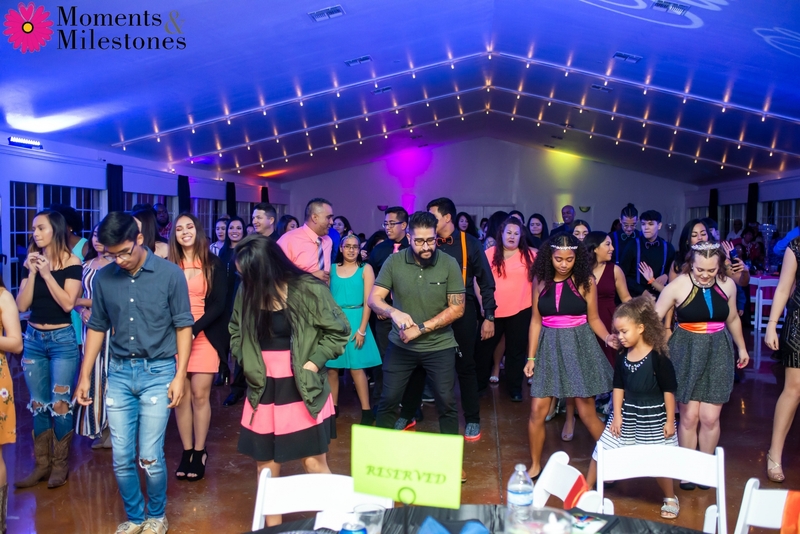 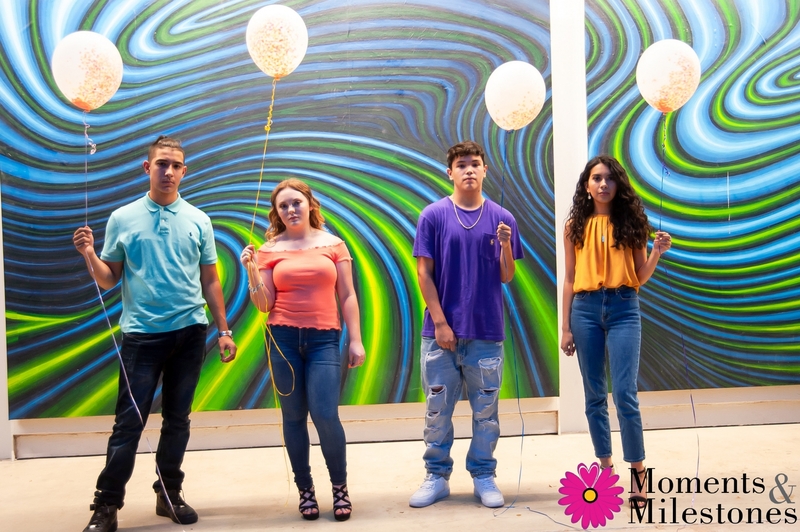 Thanks for choosing Moments & Milestones to serve at your Sweet 16 celebration! 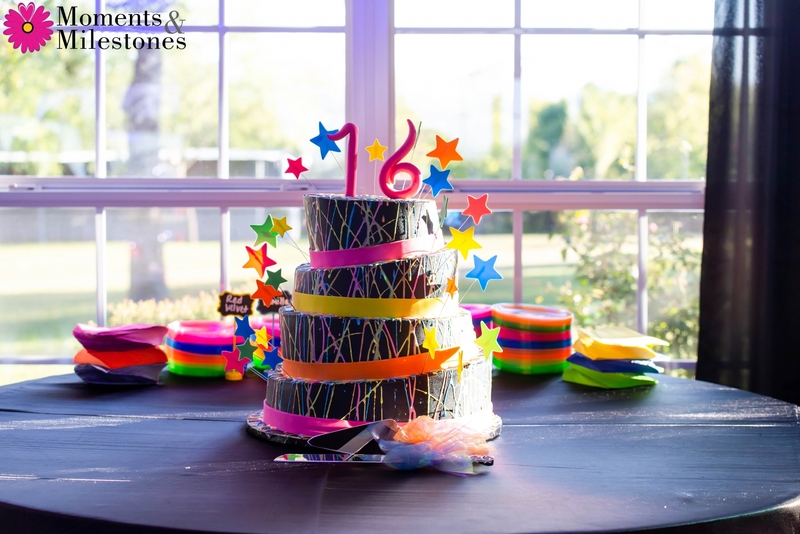 We wish you MANY happy birthdays in your future!